Many ringers use electronic balances, which can be more accurate and faster to use than using spring balances to weigh birds in bags. The best containers for electronic balances are cyclinders with lids. 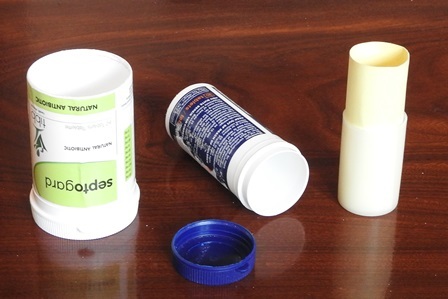 Eg find a plastic pill bottle that is a regular cyclinder, ie not one that narrows towards the lid (ask your pharmacy for spares), carefully cut off the bottom of the bottle and make sure the edges are smooth. If a bird does not come out easily after weighing, simply open the lid. Sometimes birds back out of containers while being weighed. To prevent this, use a longer cyclinder, ie the popular film canisters don't work well because they are too short. Try to have more cyclinders with varying diameters so you can choose one into which a bird fits snugly. Alternatively, try adding thin cardboard inside a short tube to make it longer - I have not tried this, but it should work in principle.